Those who operate a private hire company are all too aware of the rising costs associated with owning a fleet of vehicles. Along with the rising cost of petrol, car insurance premiums have skyrocketed in recent years. According to the AA, the average insurance premium was over £740 per annum in the UK in 2013. Clearly, this is too high for the average private hire firm so here are some clever ways to cut the cost and put more money in your pocket. 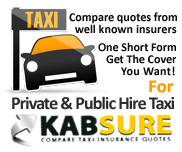 It is one of the simplest and most relevant ways to cut the cost of private hire insurance. Many people believe the other driver must be older and more experienced but this isn’t always the case. We have heard stories of people saving up to £200 a year by adding less experienced and younger drivers to their policy. Apparently, adding a driver with an ‘endorsement free’ driving license can shave pounds off your insurance and even the profession the extra driver is engaged in can save you money. For example, a teacher would probably receive cheaper insurance than a journalist all other things being equal. Modifications such as bodykits and alloy wheels are often associated with younger drivers and having them on your private hire vehicles could increase your insurance by several hundred pounds a year in some cases. Such additions tend to add extra speed to a car and this is automatically equated with danger by insurers. One of the most pertinent qualifications to take on is the Pass Plus scheme which is designed to help new drivers become safer and more confident. It is a total time investment of 6 hours though it is important to note that not all major insurers take it into consideration. Of those that do, Churchill, Endsleigh and AA would be the best known and these insurers offer discounts if you have the Pass Plus qualification. While this may play havoc with your private hire firm’s cash flow, paying your insurance annually should save you a substantial amount of money. Clearly, it isn’t easy paying a five figure sum all at once for dozens of vehicles but if you can achieve this, the savings could be mindboggling. The APR charged by insurers for monthly payments is eye-watering; over 30% is normal and some companies charge over 50%! No matter what insurer you deal with for private hire insurance, there will be a mandatory excess charge involved. This is the amount of money you have to pay up front if you make a claim. There is the option to pay additional voluntary excess because clearly, insurance companies are happy if they don’t have to pay out the full amount. The more you agree to pay in voluntary excess, the lower your insurance quote will be. Make sure you only agree to pay what you can afford; the last thing you want is to be hit with a bill for £800 after an accident. This really should be a given for those driving private hire vehicles anyway since they are often the target of theft or vandalism. Adding features such as an alarm and/or immobiliser will not just give you peace of mind, it will cut the cost of your insurance. Insurers also charge less if your car is parked in a secure facility or garage as opposed to being parked in the street when not in use. Believe it or not, third party can cost more than fully comprehensive insurance despite offering a far lower level of protection. Actuaries set insurance rates and since their job is to determine risk, they normally decide that third party buyers are a higher risk than drivers seeking fully comprehensive insurance. Every single application for private hire insurance is treated differently. The quote you’re offered depends on the assessment of your risk focus and the pricing model which determines the kind of customer insurers want to attract in the first place. Therefore, you should shop around for all types of insurance on PrivateHireInsurance.net. Having a no claims bonus built up over a long period of time is one of the best ways to get a major discount on your insurance. While the option to protect your no claims bonus is normally an added extra on a fully comprehensive private hire insurance policy, it is well worth paying for if you have several years built up. In some cases, it is possible to get discounts of up to 70% which equates to several hundred pounds. Be sure to check your policy carefully because there are varying definitions of the kind of accidents that have an impact on your bonus. Of all the tips, this is undoubtedly the hardest one for private hire insurance companies to follow. You could restrict the length of journey offered by your business as a means of cutting the annual mileage. Is it worth it? Fewer miles means less income but there are savings associated with travelling less. Reduce your existing annual mileage by 5,000 miles and you may save up to £100 a year. No matter what else you do, be honest about your mileage claims because inaccuracies could cost you dearly. It usually pays to fork out for small incidents yourself. Even if the accident isn’t your fault, a minor claim identifies you as a risk and the excess and premiums rise rapidly. You are affected even if you tell the insurer without making a claim. You have no legal obligation to inform your insurer of an accident so if it can be paid for by you, do it and keep your insurance rate down.